Users receive a qualified market analysis. This digital platform brings sellers, agents and buyers together. 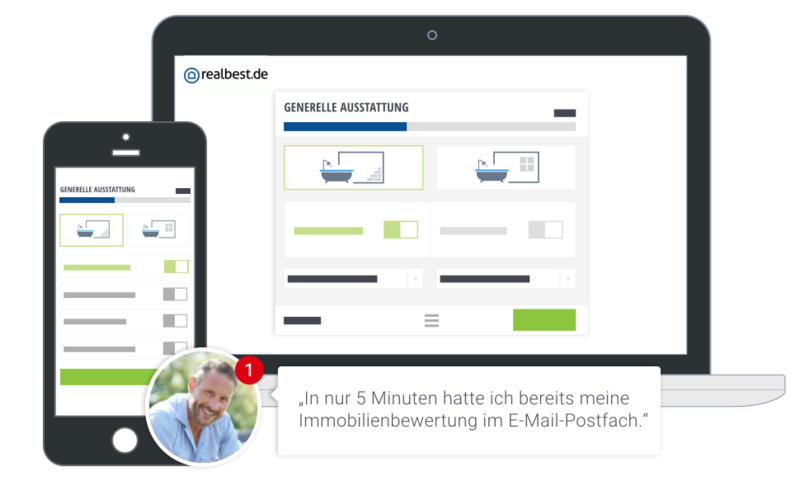 Selling via an online network such as realbest is three times faster on average. Enter the key data for your property online – we will then give you a free market valuation based on an extensive database. With our quick valuation you will be given an initial reliable indication of what sort of achievable market price you can sell your property for. Which estate agent is right for me? Competent estate agents in your area will value your property. 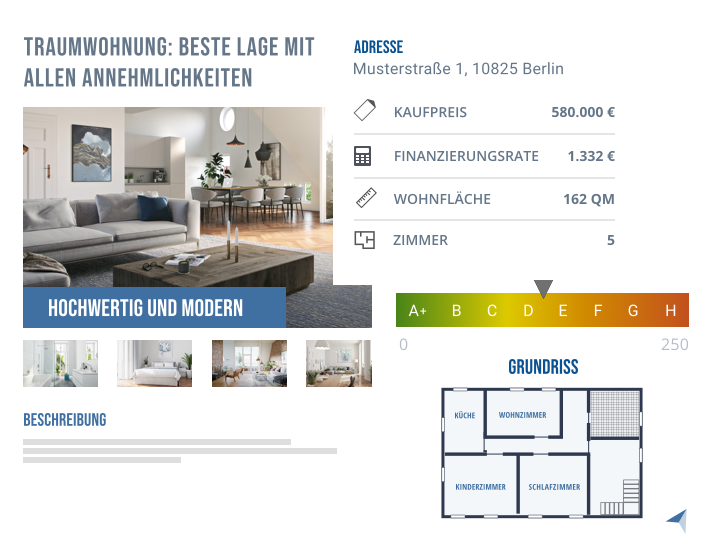 You can consult the price estimates and information concerning the property professionals online at any time. You can decide for yourself if and when you want to make contact and with whom. Once we have agreed a marketing contract, the sales process of selling your property will begin. In a short space of time, you will generate a large amount of enquiries from potential purchasers which will allow you to achieve maximum sales revenue. We will be there for you throughout the whole process of the sale so that it is handled quickly and professionally. Would you like to buy an apartment or a house? On our platform, which is advertisement-free, you will find an exclusive range of current, verified residential properties. You can see the selected properties before the selling process begins via your personalised, free-of-charge online access. Save time and aggravation: Comprehensive sales documentation as well as the options to reserve the property online and to agree a viewing appointment make this an uncomplicated sales process.